Imperial Admiral was a powerful military rank held by Sangheili in the rank structure of the Covenant. Imperial Admirals commanded the Covenant fleet, operating on a very high-ranking flagship such as a supercarrier. It is the equivalent to Fleet Admiral of the UNSC ranking structure. Xytan 'Jar Wattinree was a legendary Imperial Admiral. 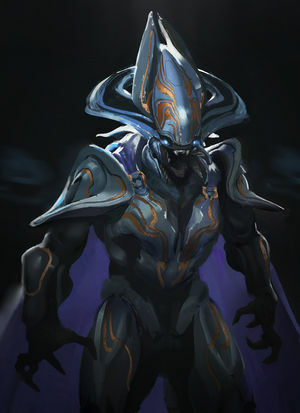 Wattinree was so revered among the Sangheili that he was perceived by the Hierarchs as a threat to their own power. During the Great Schism, Wattinree operated aboard the supercarrier Sublime Transcendence stationed at Joyous Exultation. During the onset of the Great Schism, he addressed the Sangheili military leadership gathered aboard his flagship and promoted Voro Nar 'Mantakree to the position of Fleet Master. He planned to use the forces gathered there to strike back at the Jiralhanae, though the planet and its moon were destroyed before this could come to fruition. Imperial Admiral's armor is silver, similar to that of a Special Operations soldier or an Ultra, and covered with the golden Forerunner glyphs of Sacred Mystery, much like the Arbiter's. When Wattinree spoke to his shipmasters, he did so by way of a massive holographic representation of himself, over 30 meters tall. Halo: The Essential Visual Guide mistakenly identifies this rank as "Imperial Commander".